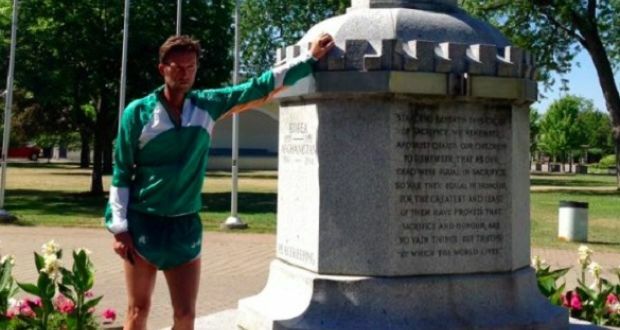 In memory of the thousands of immigrant Irish who lost their lives in Canada during 1847, the most harrowing year of the Great Hunger, Irish author Michael Collins has run almost 600 miles from Quebec to Toronto on the Irish Diaspora Run. 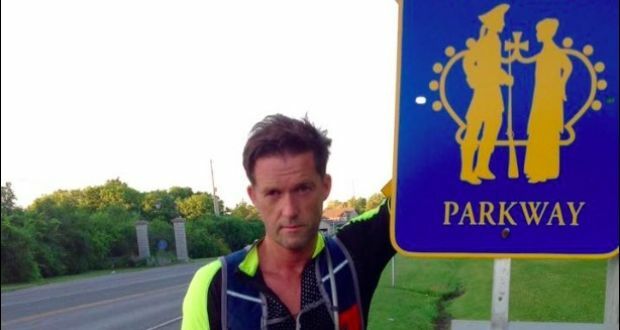 Setting off from the Grosse Île quarantine station in Quebec on June 10 the 52-year old Collins ran more than a marathon a day, rain or shine, to complete the 548.29 mile journey to Toronto’s Ireland Park in just 31 days. 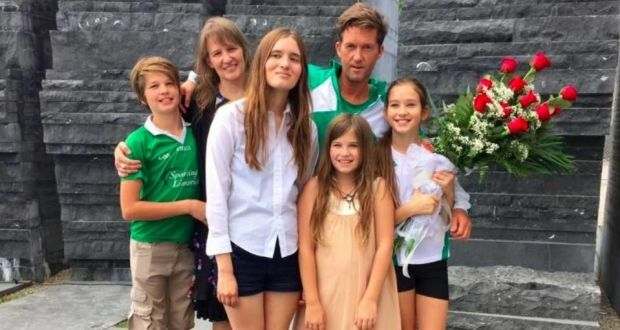 Author of ten books and former captain of the Irish team at the 100km World Championships, Collins crossed over the finish line on July 11 accompanied by his daughter. It was the perfect ending to a journey that, in truth, began last October when Collins took his daughter to Quebec to learn French. “My daughter’s home schooled so I said, ‘Let’s just learn French.’ We were up there [in Quebec] going around to different museums and I bumped into a couple of people who said, ‘You know there’s 800 orphans that were sent out [to various locations in Canada] after 1847?’ said Collins. 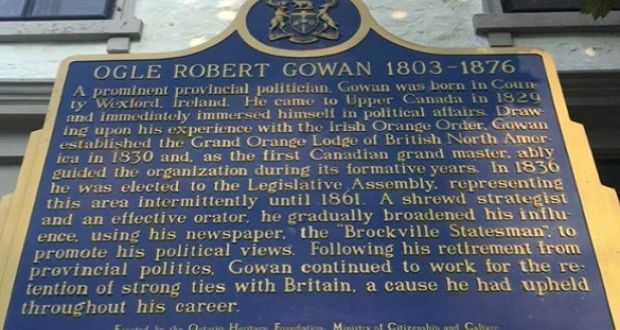 “Over the course of October, I spent time at the library, spent time in Irish heritage organizations and then realized that there was a specific story to tell that began in May 1847 with the opening of the St. Lawrence [river] and ended in October. A famine marker in Cornwall, Ontario. 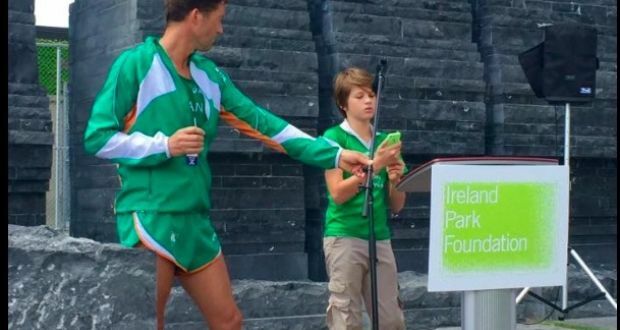 Crredit: Irish Diaspora Run 2016 / Facebook. At the height of the Great Hunger, the British Parliament cut off famine aid and enacted the Famine Poor Laws, which transferred responsibility for the welfare of their tenants to the absentee landlords. With immigration laws in the US beginning to tighten due to the mass influx of sick passengers from Ireland, among other aspects, the landlords began to ‘encourage’ their tenants to look to Canada as another destination for those fleeing hunger. 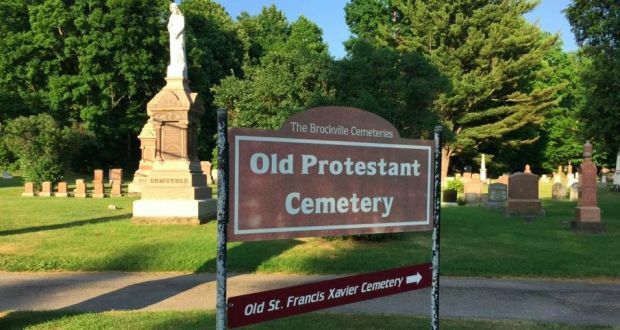 Some 100,000 Irish immigrants made the journey to Canada in 1847, descending on the quarantine station in Grosse Île, where, during the summer months alone, 14,000 Irish had arrived. The quarantine station had only 150 beds. 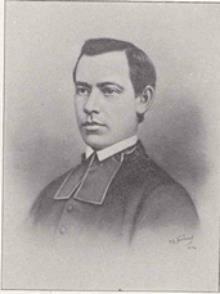 For those Irish people who escaped the quarantine station the next stop was Montreal, where typhus was killing many who had survived the journey. Others carried along the river to Toronto. A fifth of those who traveled that year – 20,000 immigrants – died. 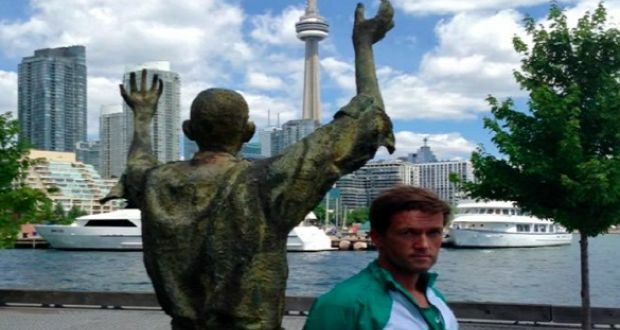 Connecting with this terrible history, and the bravery and kindness of the Canadian people who risked their own lives to tend to the sick and dying, Collins felt eager to explore this connection on a personal level and an idea began to form of completing an Irish diaspora run across the country. Collins was no stranger to extreme ultra-distance running. He had previously competed in The Everest Marathon, The North Pole Marathon, The Antarctic Marathon and The Sahara Marathon among others. The route he planned required at least a marathon a day, with more ground covered on days when the weather was on Collins’ side. Collins on the route. Crredit: Irish Diaspora Run 2016 / Facebook. Contacting various Irish organizations along the route, the run began to grow and, with the support of The Irish Times and many historians and groups along the way, Collins looked to to raise awareness and funds for those heritage groups on the Canadian east coast fighting to establish and maintain their own Famine memorials in their towns and cities. 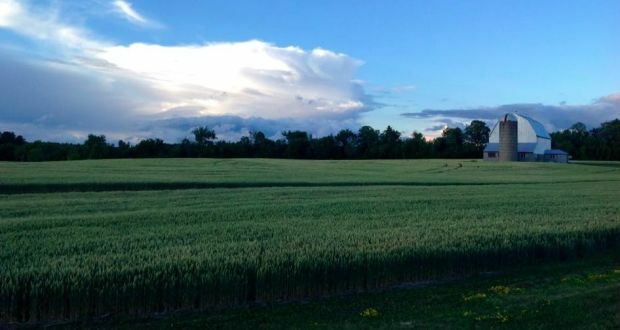 Despite the 6,000 famine immigrants buried in the city in 1847, Montreal, in particular, is in the midst of a long battle to establish an official memorial park. Running on not so bright a day. Crredit: Irish Diaspora Run 2016 / Facebook. IrishCentral spoke to Collins during the first week of the month-long journey as he stopped in the small town of Nicolet, Quebec. Collins voiced his frustration that such a monumental year in Canada’s history was being largely forgotten about. 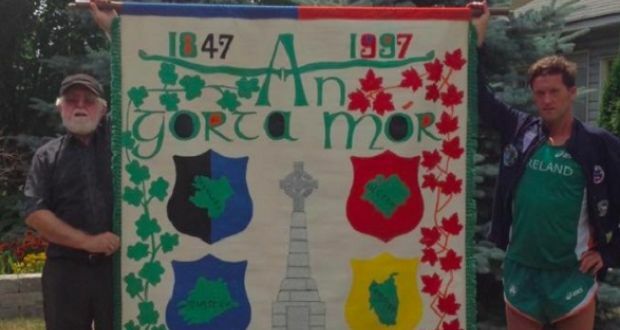 In particular, he mentioned the difficulty The Memorial Park Foundation in Montreal was having in properly commemorating city’s Famine immigrants and the Grey Nuns who died serving the poor Irish who had arrived in their city. 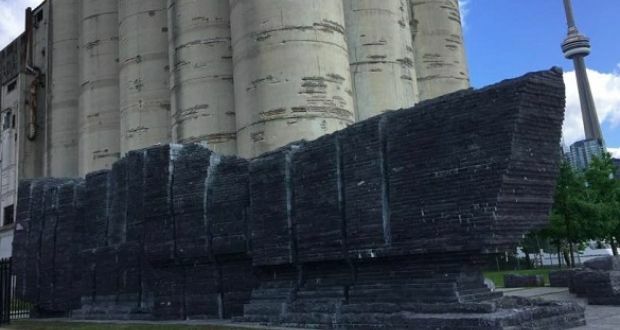 “It’s hard to believe that Montreal is just begging to get a park for the commemoration of 6,000 people, that the stone [Black Stone memorial] is always under threat of being moved and that there will be no plan in place to just commemorate it,” he said. One of many Irish and Irish-related place names along the route. Crredit: Irish Diaspora Run 2016 / Facebook. 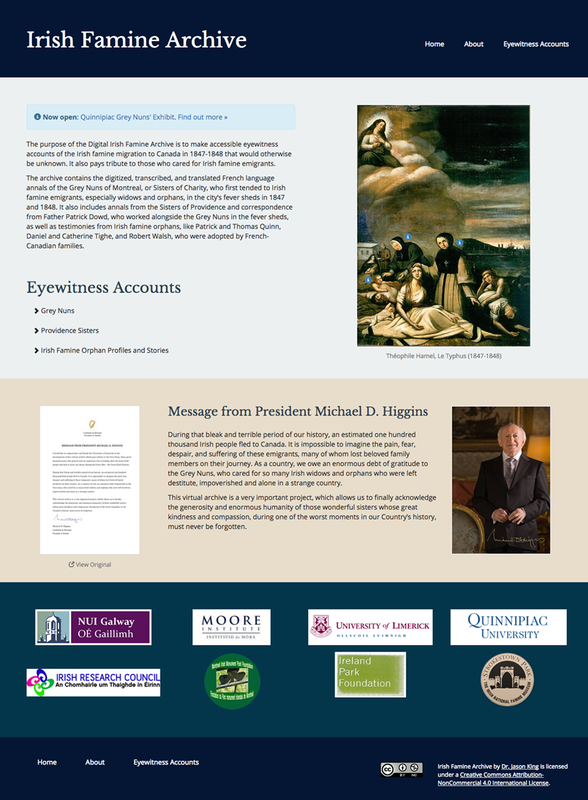 And for the first part of his journey, at least, Limerick-born Collins was greatly aided in imagining the journey the Famine immigrants took as he took in the Quebec landscape, which he compares to the west coast of Ireland with its churches and religious statues. 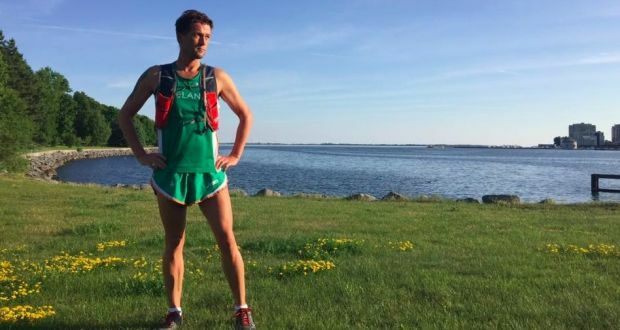 “I’ve been running beside the water,” he told us from Nicolet, “and because there’s so many statues, it’s so reminiscent of the west of Ireland, with crosses built into the side of the road. Over the years going back home, seeing these encrusted faces and they’re all worn away because of the sea but Mary looking up at Jesus on the cross. 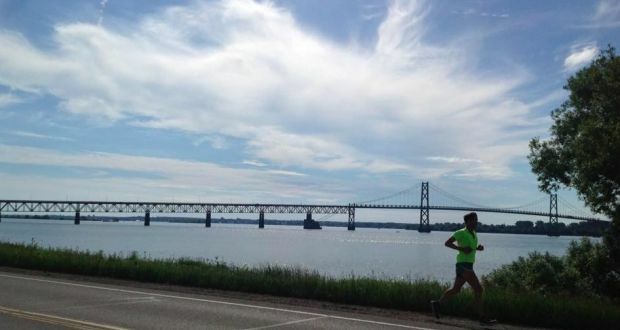 Collins mentally broke up his run into five mile segments, which helped him avoid dwelling on the great distance ahead of him. 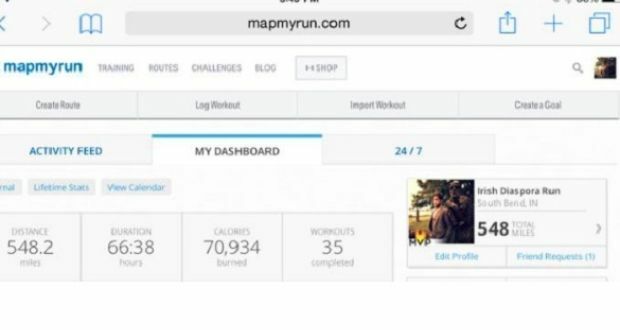 Thanks his experience as a long-distance runner, Collins completed each day’s run at a good marathon standard, clocking in just 66 hours, 38 minutes to complete some 548 miles. 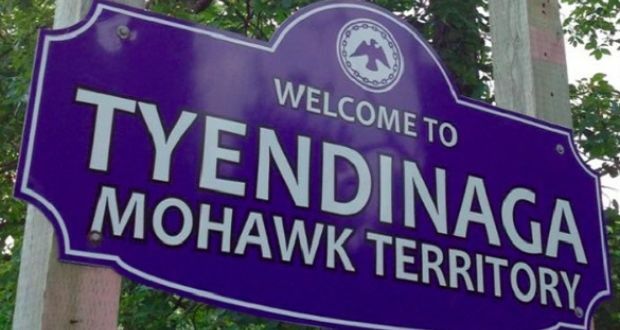 Although he found it tough spark some interest in his campaign, Collins believes there are still many Canadian Irish, even those in Quebec who speak only French, who know of their Irish heritage and are proud of it. 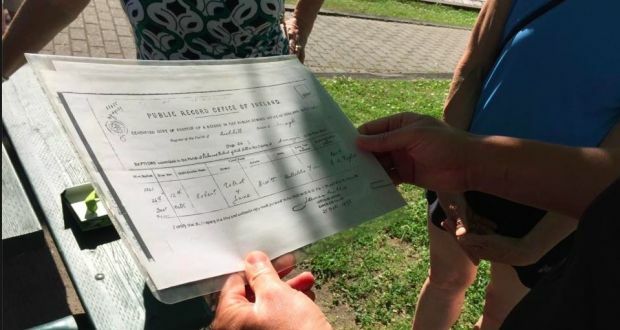 “I think during The Gathering … they brought a man over but he had no English but he was a direct descendent of 1847,” Collins said, “and he knew it, too. 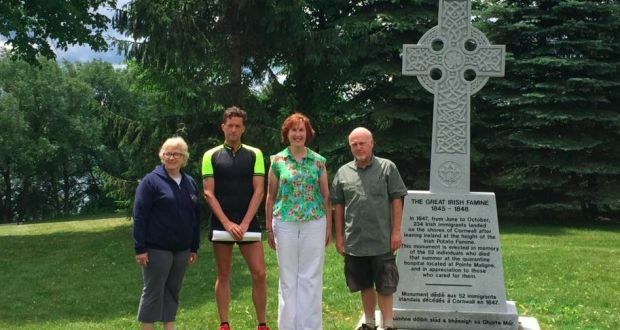 You can find out more about the Irish Diaspora Run and the efforts to raise funds for Irish Famine memorials in Canada here.